Don’t Miss Out On This Thirty Dollar Bonus from Watkins! April 2018 joining bonus! 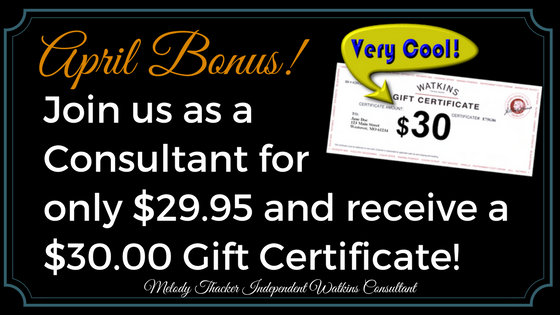 You’ll receive a $30.00 Watkins products gift certificate when you join us as a consultant this month. 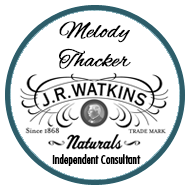 Your J.R. Watkins Consultant membership carries a full 30-day money back guarantee so it’s risk-free. Who doesn’t like free products? This is great for anyone who wishes to maximize your value or build a serious business. How do you get this bonus? Follow these simple directions to join us and Watkins will automatically mail you a gift certificate within a few weeks. Go HERE Click “Sign In/Create Account”, (top right side of the page) then choose Join Watkins as a Consultant. You’ll also have a chance to earn more Watkins gift certificates from myself and our team leaders with our New Consultant Action Challenge but only when you join my team this month! 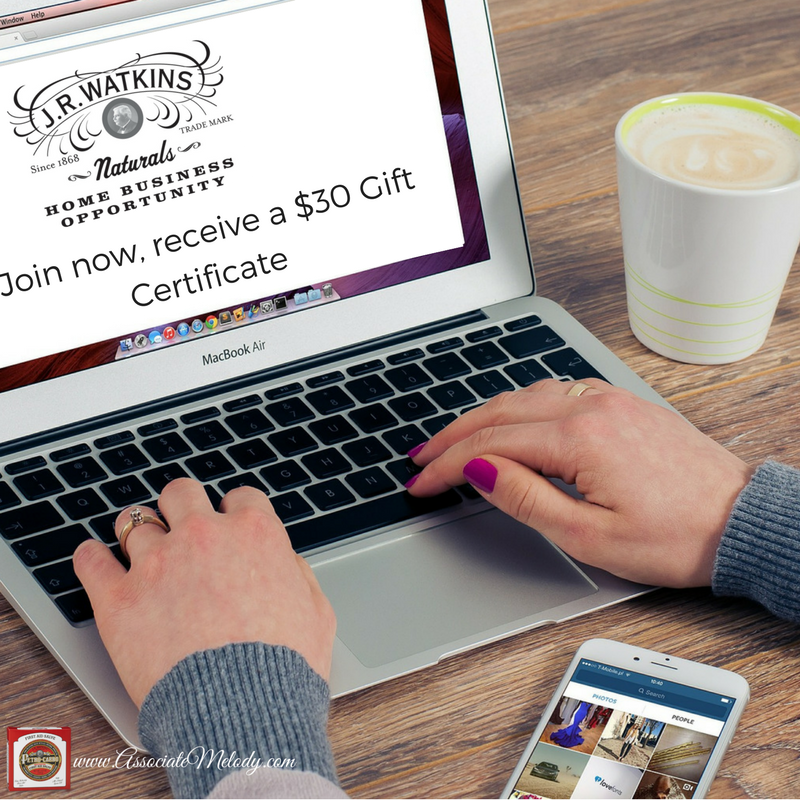 You could receive up to $180.00 worth of gift certificates to redeem on Watkins products for your own use or to sell! Don’t miss out on this wonderful bonus, it’s like getting a rebate on your membership!